We are headquartered in Chhattisgarh, India and are reckoned for the excellent Admission Services that we offer to the clients. 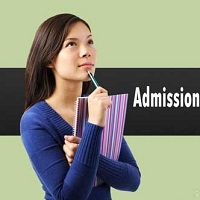 We are staffed with a pool of experts and professionals offering admission guidance for MBA-PGDM, B.E., B. Tech., LLB etc. We are a panel of experts working in close coordination with the team members, clients and management, delivering the excellent supervision and guidance for admission in varied trades. We won't let you dwell through the painstaking process of finding out the trade that is best for you. Our team members are capable enough of delivering the exceptional Admission Services with utmost proficiency.